Want to have a paint party at my studio? 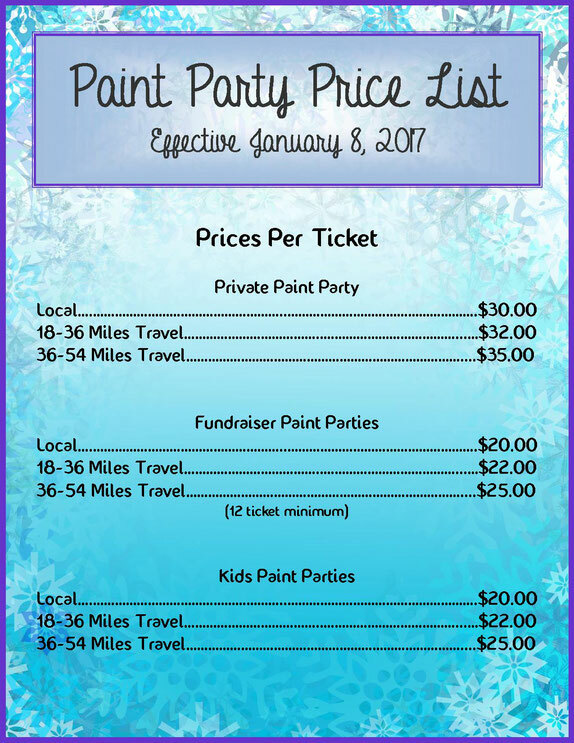 $25.00 per guest and when you have 5 or more people attend, you paint for FREE!!! Parties on location! I will travel to you!